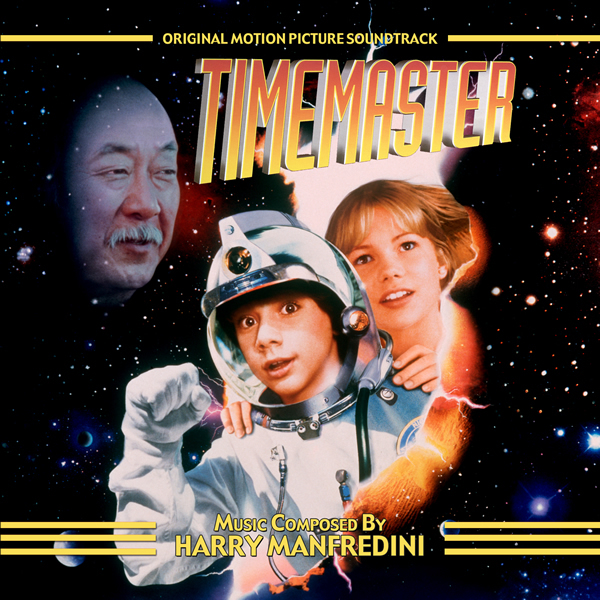 Harry Manfredini, best known for scoring the first ten FRIDAY THE 13TH horror films (1980-2001), composed the music for TIMEMASTER. 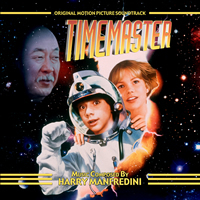 One of Manfredini’s business partners and a long-time associate, Jerry Lambert, was the line producer on TIMEMASTER and he suggested to Glickenhaus that Harry be considered for the film’s music. His score for the film is a mixture of four recurring motifs and ten standalone musical set-pieces, an effective combination of dramatic underscore and action-driving fortissimo composition. Because Jesse visits many different eras of past and future, Manfredini had the chance to really stretch his sonic muscles and compose music for many different periods and genres. Born in Chicago, Harry has spent most of his life in music. While living in the Midwest, he worked as an arranger and performer. He also earned a Bachelor of Music degree from DePaul University and a Master of Arts degree from Western Illinois University, where he subsequently taught theory, orchestration, and conducting. Harry moved to New York to pursue his doctorate at Columbia University. Upon completion of his doctoral courses, the opportunity arose for him to further his longtime dream of a career in film music. The years of classical training and the twenty years in the popular music scene (he plays great sax) combined with a good sense of drama to make him a natural in film music. Harry has scored over one hundred films. His major feature credits include the highly successful FRIDAY THE 13TH series for Paramount Pictures, and now New Line Cinema. SWAMP THING for UA/Embassy, HOUSE, A breakaway hit for New World Pictures, and DEEP STAR SIX and ACES-IRON EAGLE III for Carolco Pictures. These films characterize his style as an action, suspense, and thriller composer but Harry's credits also include SPRING BREAK, a good-time rock and roll summertime success for Columbia Pictures and MY BOYFRIEND'S BACK, a teen comedy for Touchstone Pictures. Harry's dark, jazzy, dramatic scores have been heard in A GUN, A CAR, A BLOND, and HIDDEN AGENDA. Harry's score to WISHMASTER helped make it the number one independent film of 1998, and he repeated in 1999 with his score to THE OMEGA CODE, the largest grossing independent for 1999. Dragon’s Domain Records is excited to announce the premiere soundtrack release of TIMEMASTER, featuring music composed by Harry Manfredini, mastered by James Nelson at Digital Outland. The booklet contains liner notes written by author Randall Larson featuring the participation of the composer. TIMEMASTER is a limited edition release of 1000 units. TIMEMASTER will begin shipping the week of March 13th, 2017. The first 100 copies ordered through the website will include a booklet autographed by composer Harry Manfredini.